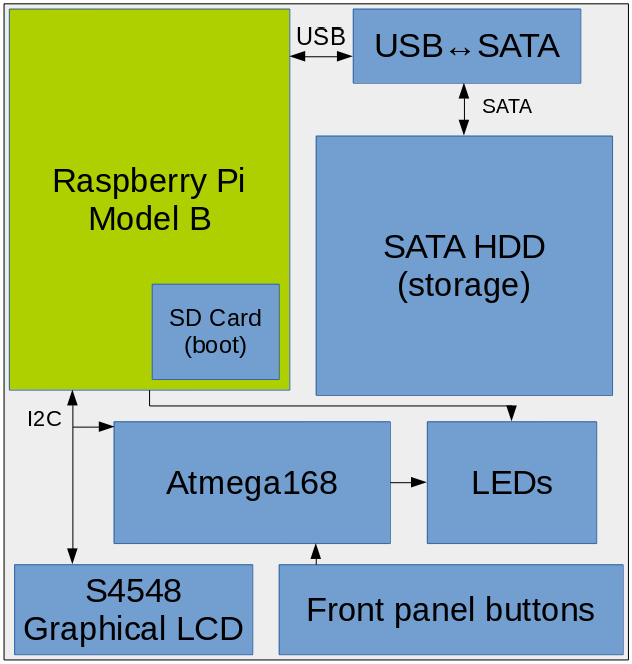 The Pidrive has been somewhat of a pipe-dream for me for years - and actually I've been working on it since the Pi's release in February 2012. 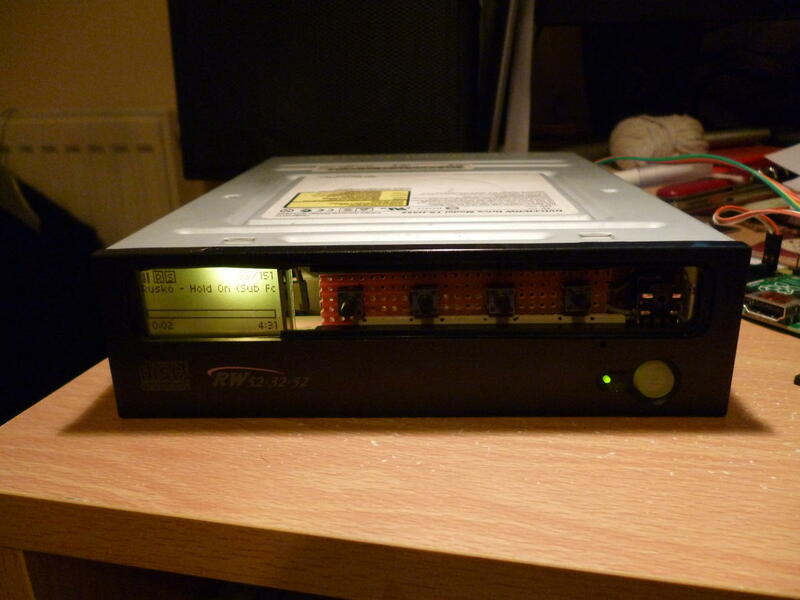 I have always wanted to build a computer inside a CD drive. I'd browse mini-itx.com and drool over all the case mods, but I never had enough money to make one. Alarm clock, including lights on, kettle on, curtains open etc. See above. The block diagram shows the system architecture. At the heart is a Pi (a Rev 1.0 model B - I got up early on release day to order it and everything). This has a low-level interface board connected to the i2c bus, which consists of a Atmega168 and some driver circuitry for the LCD and LEDs. There's a 101x40 monochrome LCD also on the i2c bus, and some push-buttons and a scroll wheel attached to the Atmega. Finally, there is a USB<->SATA converter attached to a 2.5" HDD.